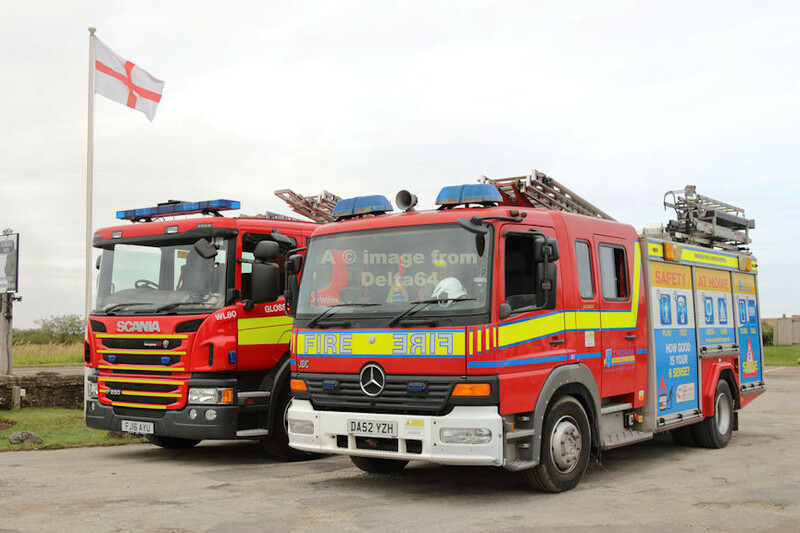 Mercedes Atego DA52YZH was seen leaving Stalybridge Fire Station [GMFRS] heading for the moors, 28 June 2018. Whilst mobile to Stalybridge. 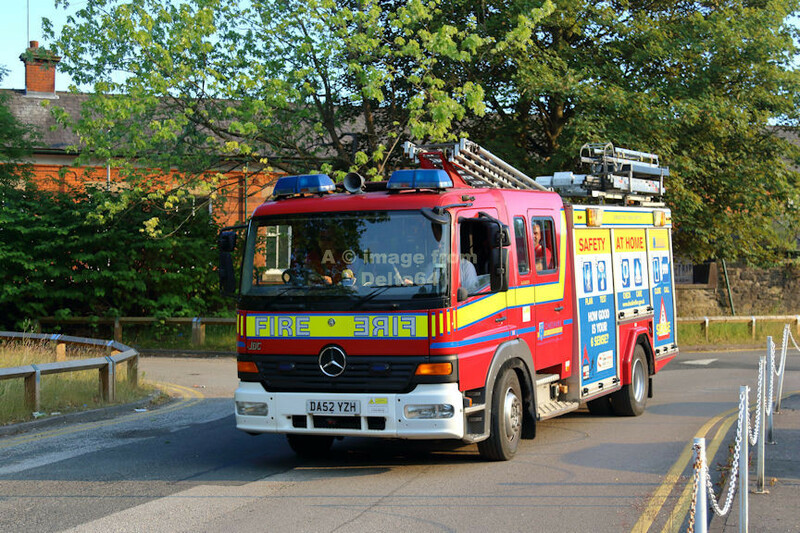 the crew attended a house fire in Oldham and in the days following had standbys at Philips Park & Bolton. Another 'over the border' picture, this time at Upper Hulme on the Staffordshire Moorlands, 11 August 2018. The adjacent appliance was Scania FJ16AYU from Glossop in Derbyshire.